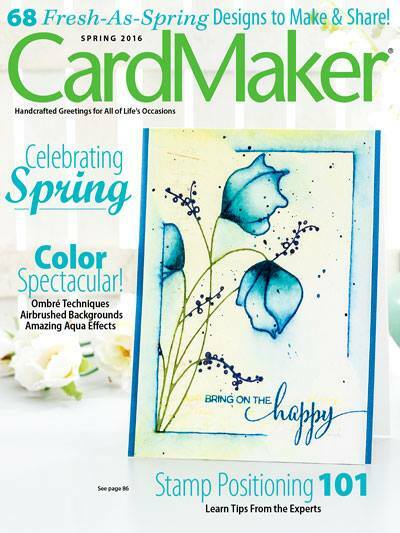 Selected as a Favorite of the Week 6 times at Split Coast Stampers. I have gone completely Coral crazy.!!! I made this card then I found a few challenges that it qualifies for. I stamped the flower with Memento Angel Pink, then used Copic markers to color it. Stem and leaves were stamped with Memento Pear Tart. Copics were used on the stems. Right edge was die cut and base card was inked so more Coral could peek through. By the looks of this card it loves you back! :) Just gorgeous. I too find that I go through color phases where I find myself attracted to a color or a specific color combo and find myself wanting to include it in everything I make or buy. 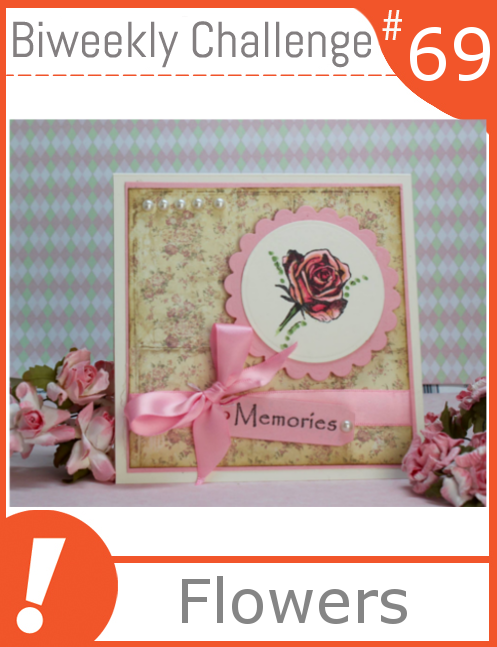 So very beautiful, love that pink memento ink for borderless flowers like yours..love it! Totally beautiful. I love your coloring too. Beautiful card Penny! I see why you fell in love with Coral ~ gorgeous! 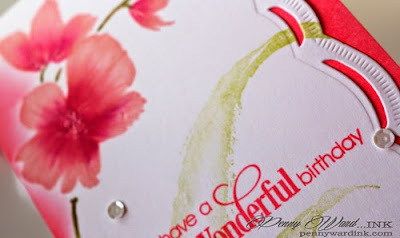 Love the Spellbinders Edge on your card! Thanks for playing along with us at Scrapy Land Challenge #18! It's so beautiful. I really hope I can get good enough to do cards like this some day. Thank you for sharing. Well, I must say Coral looks really good on you!! 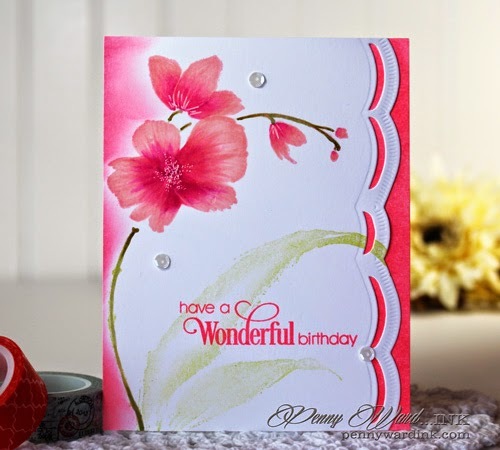 Wonderfully done card with an ethereal beauty that just speaks to the heart!! Thanks for sharing this loveliness!! Another fabulous project Penny! Love the bright colors. SO glad you shared it with us for the Scrapy Land Challenge. Your flowers are so gorgeous and love the colors. Fabulous ideas and great inspiration.